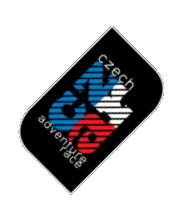 Czech Adventure Race 2015, Чехия. AREuroSeries. Труднейшая приключенческая экспедиионная гонка Чехии. Командам их 4-х человек предстоит преодолеть дистанцию 500 км за КВ 55 часов non-stop.Дистанция отмечена на карте контрольными пунктами. Каждая команда выбирает свой оптимальный путь между КП. Командная стратегия (скорость прохождения, сон, отдых, питание) выбирается самостоятельно. Во время гонки команды должны доказать свою физическую и психологическую подготовленность, индивидуальные навыки и комндную работу. Даже если один участник вынужден будет сойти, вся команда прекратит гонку. The most difficult adventure-expedition outdoor competition organized in CR. Four-member teams can expect a track over 500 km long and time limit of 55 hours that has to be done non-stop. The course is marked on a map by check points. Each team tries to find their optimal way between the check points. Competition strategy, e.g. speed, relaxation, sleep, food etc. is up to the teams themselves. During the competition the participants must prove their psychical and physical preparedness, individual skills as well as their ability of team cooperation. Even if only one member cannot overcome the difficulties of the competition and quits, the effort of the whole team is over. The race is international championships of the Czech republic and is a part of the European cup AREuroSeries.